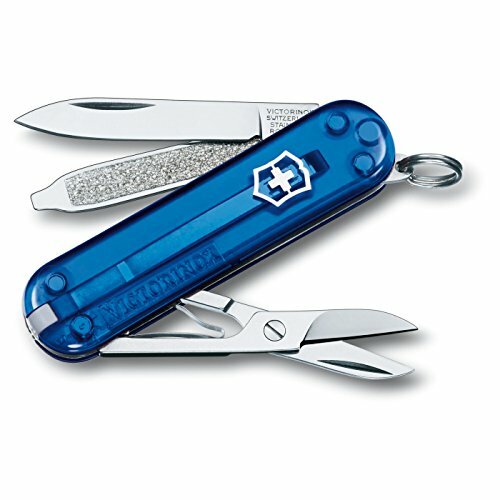 Victorinox Swiss Army Classic SD Pocket Knife, Sapphire | What Should I Say? Compact enough to fit in your pocket or hook to your key fob, the 2¼" Classic SD is the epitome of a Swiss Army Knife; functional, versatile and always there when you need it. Length: 2.25" (58mm), Height: .354", Weight: 0.74 oz.